Hot on the heels of her hit novel Me Before You, Jojo Moyes, twice winner of the RNA Novel of the Year Award , has struck gold again with The Girl You Left Behind. Those familiar with her back catalogue will already know what a diverse author she is, every novel is different from its predecessor – her latest offering has a dual time-frame narrative (my favourite!) an ideal vehicle to show her versatility and skill as a consummate storyteller. Sometimes dual narratives can be distracting, disrupting the story’s flow, but here we have time to savour the story of Sophie in occupied France in 1916 with the first third of the novel dedicated to her troubled life under Nazi rule. Her artist husband, Edouard, is away fighting at the front and she and her sister, Helene remain in St Peronne, scrabbling an existence, forced to feed the German occupiers in their little hotel, Le Coq Rouge. It’s a constant battle to survive, treading the fine line between resistance and collaboration – some of the villagers quick to make assumptions if anyone associates with the enemy with Sophie, despite her best intentions, becoming the target of their gossip. Jojo Moyes succeeds in creating a living, breathing community, feeling the strain of occupation, their loss of identity. We leave Sophie’s story at a crucial moment and are flung into present day London where Liv Halston, a young widow, is beset with financial worries and finding it difficult to move on after the death of her architect husband. Her most treasured possession is a painting entitled The Girl You Left Behind which her husband bought on their honeymoon. The girl in the painting is Sophie Lefevre and her portrait becomes the subject of a hotly contested court case as Edouard Lefevre’s descendants claim it was looted by the Nazis and therefore it should be returned to its rightful owners. Throw in a bit of romance for Liv and you have the perfect recipe for a compelling read where voices from the past have a strong impact on the present. This is a very cleverly constructed story which drew me in from the opening pages. Once again, I preferred the historical setting of Sophie’s story to that of Liv’s modern-day travails but the narratives are designed to complement rather than compete with each other and I loved the way elements of Sophie’s story are echoed in Liv’s life. Jojo Moyes is going from strength to strength with Penguin. The Girl You Left Behind should ensure the continued expansion of her fanbase and increased recognition for this very talented writer. Looking forward to the next one! I seem to have had a few Proustian moments with this novel as different smells and sounds brought me back to my youth just as the protagonist explores her past via her own book, The Book of Summers. Admittedly my own past was somewhat less eventful and less traumatic than that of Beth Lowe but I really enjoyed the atmosphere of nostalgia, the memories of summers past and, I think, despite the sadness, a certain optimism about the future all of which added up to an enjoyable read for me. The “summers” of the title are the seven vacations which Beth spent with her mother, Marika, in Hungary. In the present-day narrative, thirty year old Beth is leading a very quiet, almost reclusive life, working in an art gallery in London, but the tranquillity is fractured when her father makes an impromptu visit bringing with him a parcel which, once opened, lets loose all the memories Beth has tried so hard to suppress. The Book of Summers is the scrapbook memoir which Marika had compiled over the seven summers Beth enjoyed with her in Hungary – memories of hot dry summers, bathing in ponds, first love, wandering in the wilds – all of which form a sharp contrast with home, a rather dreary Devon with a quite depressed Dad who can’t really compete with the exotic wild whirlwind created by Marika. Of course, such idyllic days were bound to be disrupted and you really feel for the young Beth/Erzi. Her only hope of closure as an adult is to relive those days via the Book of Summers. Once, when she was trying to explain why she’d returned to Hungary, Marika said, Sometimes if you don’t go backward, you can’t move forward. This is an impressive, evocative debut which will transport the reader to another time, another place. I’m looking forward to reading more from this talented young writer. As young children, in a tiny rural primary school, we used to listen rapt to the Master as he told us stories of great adventurers both mythical and real. Forty years on, I still vividly recall the three “heros” who impressed me the most – Abraham Lincoln, Laura Ingalls Wilder and Captain Scott. 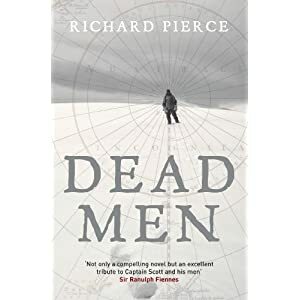 The story of Scott’s ill-fated journey to the South Pole, only to be thwarted by Amundsen, has always fascinated me so I was delighted to get the opportunity to read a new novel about Scott especially in this, the centenary year of his and his colleagues’ death. It’s a fairly compact novel, just short of 300 pages but it gives just enough detail to hook the reader from the opening pages where Scott, Wilson and Bowers are discovered in their tent, having starved to death. There is a dual time-frame narrative as past events told in the third person involving Scott, Amundsen, his wife amongst others are balanced with a contemporary storyline in the present tense involving a girl obsessed with finding the current location of the explorers’ bodies and some clue as to how they perished only 11 miles away from a base which could have provided them with the food and shelter they needed to survive. The girl is Birdie Bowers, whose parents named her after one of their heros who was Scott’s companion in both life and death. She enlists the help of Adam Caird, a would-be suitor, to assist her in her quest to lay some ghosts to rest – her single-mindedness is on a par with that of Scott and his team but there’s a recklessness there too which cranks up the tension and drama. My favourite parts of the novel are those set in the Antarctic, both past and present, as the writer really captures the beautiful desolation of the landscape – an environment which could turn on you and kill you without warning. There’s an eerie, haunting atmosphere, the feeling of being watched by the ghosts of the past, be they malevolent or benign but this never spills over into farce or fantasy. Highly recommended if you are already intrigued by Antarctic adventure and have a respect for nature. Those who enjoyed Dark Matter by Michelle Paver will equally enjoy the polar parts here. Pam Jenoff’s latest novel is a well plotted, dual-time frame story. In the contemporary narrative, two American attorneys, Charlotte Gold and Jack Harrington, are brought together to work on the defence of a man accused of war crimes during WWII. The accused, Roger Dykmans, is reluctant to aid them in his defence, seeming resigned to whatever fate holds for him. The only clue is a handcrafted anniversary clock which might hold the key to why he allegedly betrayed his brother Hans to the Nazis. In the engaging historical narrative, we are fed tantalising nuggets of information which eventually come together to explain Roger’s actions. It’s a love story with Roger falling for Magda, his sister-in-law in what will be a doomed romance. Romance also features in the modern narrative, with Charlotte and Jack gradually becoming closer despite the emotional baggage of previous relationships. I found their story less gripping than that of Roger and Magda who had much more to lose but then I have a personal preference for historical fiction. 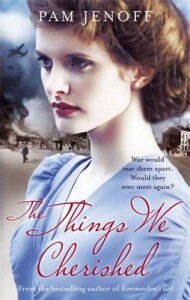 This is a very touching, readable story with the focus on love and loyalty rather than the brutality of war. It’s about how we tend to cling to the past, to our memories – both good and bad. When I see the name Alan Titchmarsh, I automatically think of tv gardening programmes and a slightly corny character, the “housewives’ favourite”. Little did I know that he storytelling talents, had hidden storytelling talents, under the compost heap perhaps? The Haunting is Alan’s eighth novel, a dual time-frame story – one of my favourite genres, when done well… In 2010, forty-something History teacher, Harry Flint is recovering from the demise of a short-lived marriage and wondering what life has in store for him. He feels a strong connection with the past with a keen interest in researching his family tree. What he doesn’t know is that events in 1816, concering his ancestor, Anne Flint, are about to have a major impact on his present situation. He might keep droning on about the past informing the present, but did he really believe that after all these years of repeating like some religious litany? Well, yes. He did. Let go of that and where are you? The whole world would crumble. The two storylines are expertly woven together and it all makes for a very enjoyable, satisfying read. Admittedly, the characters aren’t overly complex and Harry veers into Mr Chips territory every now and then but you become so immersed in both stories that it really doesn’t matter – sometimes simplicity does the trick! The natural world really comes to life in the author’s descriptions, not surprising I guess for an expert on horticulture but he has a special touch when it comes to describing the sights and sounds of nature. Overall, a light engaging read which has the added bonus of being suitable for overly sensitive readers - any extreme passion is left to the reader’s imagination…the answer to my gifts for elderly relatives dilemna. During the long hot summer of 1911, a feisty young woman arrives in Thatcham, Berkshire to work as a maid in the Canning household. Having served time in prison for undisclosed crimes, Cat Morley crashes into the lives of the vicar Albert Canning and his wife Hester, determined to leave her mark. Cat is not the only disruptive influence though as Albert invites Robin Durrant into their home – Robin shares Albert’s interest in theosophy but Albert becomes more and obsessed with his guest and the quest to capture photographic images of elementals. Passions run high as the temperatures soar and it is inevitable that someone will get hurt in the process. I have mixed feelings about this novel – it’s a dual time frame story, one set in 1911 and one in 2011 but very little time is spent on the contemporary narrative. 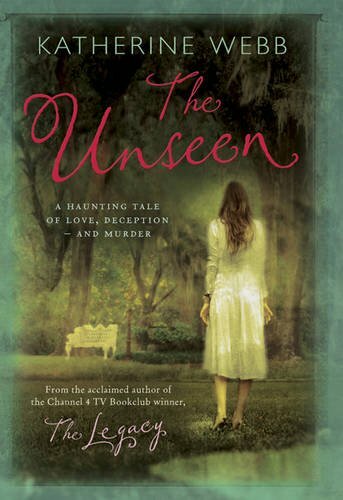 Now, I know I’ve frequently said how the modern story frequently doesn’t work as well for me in this type of novel but The Unseen does seem a bit off-balance in this respect and I feel that it might have been better to stick to the 1911 story and remove the 2011 element altogether as it really doesn’t enhance the reading experience. So I’ll focus on the story of the Cannings and their troublesome blow-ins, Cat and Robin. I found none of the characters particularly likeable but some of my favourite fictional characters are obnoxious so no problem there. The Reverend Albert is weak and watery and easy prey for the charismatic, cunning Robin who is desperate to excel at something in life and impress his family. Cat is like a caged animal and yearns for freedom and equality – not quite the right fit for someone in service! In contrast, Hester is naive beyond belief, even for a century ago – I wanted to shake her. A varied assortment of characters then with interesting historical elements – suffragettism, attitudes to homosexuality, theosophy but if only it had a bit more pace at the start (and I’m a fan of slow, lyrical reads!) It took me about 100 pages to “get into” the story and I must admit the temptation to skim was ever present. It’s a very well written novel and the author has clearly done her research but it didn’t engage me as much as The Legacy. I read and reviewed this book as part of the Transworld Reading Group Challenge. 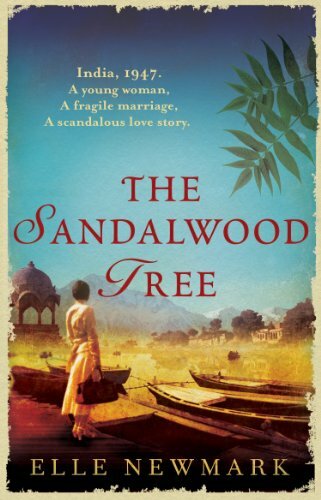 I am very partial to well told dual time-frame stories although I usually find the contemporary narrative weaker so this is a rare gem indeed, a dual time frame narrative with both stories set in the past, both in India, one in 1947 and the other in the mid 19th century. I’m delighted to report that both stories drew me in from the opening pages and I was sad to finish this very engaging novel. 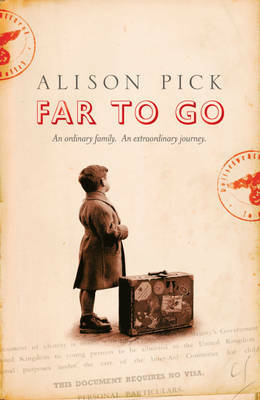 In the 1947 setting, Evie and Martin Mitchell, and their little boy, Billy, have moved to India in a bid to embark on a new life, far away from the nightmare memories of WWII which continue to haunt Martin, a former soldier. Unfortunately, the turmoil of war torn India with all its religious divisions mirrors the turbulent nature of the Mitchells’ relationship. Evie feels isolated but a diversion arrives when she discovers some old letters hidden within the walls of their bungalow – she is enthralled by the story which emerges of two Victorian women who once occupied their home during the 1840s. There’s a lot to satisfy the reader in this carefully woven tale – history, romance, eccentricity, various thrills and spills. Elle Newmark has an almost painterly approach to her descriptions and you feel plunged into this dusty landscape – it is very easy to visualise the eponymous sandalwood tree in front of the bungalow which has witnessed so much change as India gradually edges its way towards partition. We also witness first-hand the sights, smells and sounds of an India which has learned to “bend” rather than be “broken” by the streams of invaders and conquerers over the centuries. I was very saddened to learn of the recent death of Elle who was still working on the final draft of this captivating novel during a long illness. However she has left a wonderful legacy in both this and her previous novel The Book of Unholy Mischief. One of the longlisted novels for the Booker Prize 2011, Far to Go is certainly attracting a lot of attention from readers and all with good reason - it’s a refreshing look at a period of history which should never grow stale in our minds no matter how many years go by. The main focus of the novel is on the Bauers, a young, secular Jewish family living in Sudetenland, Czechoslovakia which has been invaded by Germany. Pavel, a wealthy factory owner, Anneliese, his stunning, self obsessed wife and their six year old son, Pepik flee to Prague hoping to leave the ominous shadow of the Nazis behind them. Marta, their dutiful Gentile governess, accompanies them, not so much out of duty but because they’re all she’s got – she doesn’t hold Jews in the highest regard but, like a lot of ordinary Europeans caught up in the war, she probably wouldn’t be able to tell you why. Eventually, all hopes are lost apart from those pinned on little Pepik who is sent on the Kinderstransport to the UK, hoping to be reunited with his family and Marta after the war. As well as educating the reader, this novel also achieves a more balanced view of events as the narrator who divulges the Bauers’ fate and who also holds their fate in her hands, is a Gentile with no political aspirations. Marta, the governess, is more concerned with looking after Pepik and protecting him from the growing anti-semitic feeling which is gripping Sudetenland. She has little in common with her conniving adulterous lover, Ernst, who hopes to gain financially from Pavel’s downfall. Still, she’s no saint either and self-preservation is at the forefront of everyone’s mind be they Jew or Gentile, Czech or German. What I love about Far to Go is its simplicity and unpretentiousness – the characters are flawed, real flesh and blood creations who find themselves in the most surreal of situations and whilst they aren’t always the most likeable they are all the more credible as a result. Yes, it’s a story which will affect you emotionally but it doesn’t dwell on sentimentality and presents the truth in simple prose, in black and white. The one minor difficulty I did have was getting into the rhythm of the story as several narrative strands are introduced very quickly, almost on top of each other – the story of the Bauers set in 1939, a contemporary storyline whose narrator remains a mystery until later and also letters written by Jewish parents to the children they sent to the UK. However, this is just a minor quibble for me and it quickly becomes a compelling, coherent read. Alison Pick has carved a fresh, fictional work out of the past experiences of her Czech grandparents who fled to Canada following Hitler’s invasion of their native country. It’s a fitting tribute to all those who did not survive and those children who were never reunited with their parents. Published in 1995 and made into a successful movie in 2006, The Prestige is the ninth novel by acclaimed Sci Fi author, Christopher Priest. Science Fiction is not a particularly familiar genre for me but this novel’s Victorian setting and story about rival magicians really appealed to me. The story is told from the perspective of four different narrators, two from the present day, Andrew Westley and Kate Angier and two from the late 19th century, Alfred Borden and Rupert Angier. Andrew and Kate are the descendants of Alfred and Rupert who were Victorian magicians embroiled in an, at times, vindictive feud which still has repercussions in the modern world. The historical narrative is conveyed via journals/diaries so it’s a type of epistolary novel with most of the material focussing on Rupert Angier, the aristocrat who uses his financial advantages to purchase the secrets of each magic trick he performs whilst working class Alfred has to struggle for every penny. Their feud is predictable in so far as it is difficult to pinpoint what was its catalyst – great disputes from little altercations grow. What I loved about The Prestige was the sensation of being immersed in Victorian music halls, allowed in on the secrets behind the illusions, witnessing each man striving to find that mind-blowing, inimitable illusion, seeing how far a man will go to be the best – in this case, half way across the world to enlist the help of scientist, Nikola Tesla! Indeed, this novel keeps the readers on their toes, you can never be sure as to what is illusion and what is reality. As usual, I found the modern day setting a bit flat but it’s a very small part of the story and does serve its purpose. Borden and Angier are two extremely unlikeable characters, their self-obsessed, single-mindedness doing little to endear them to any reader but I found them all the more intriguing as a result. There is no doubt that the last part of the novel is the most gripping so the opening chapters might seem a bit slow-paced in comparison but I enjoyed this gradual building up of tension. If you like a taste of Gothic, an unsettling, eerie atmosphere and don’t need everything laid out for you in black and white, then you will savour this multi-layered tale of power struggles and intrigue. I’m now looking forward to watching the film and seeing how it compares with the original novel. 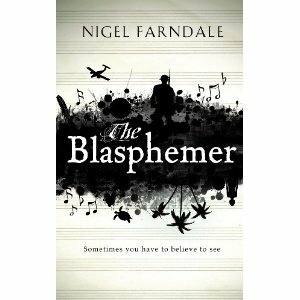 Angels, apes, soldiers, scientists, Mahler, love, relationships, militant atheists, terrorists – phew, I dread to think what Nigel Farndale fits in his man-bag, considering the amount of material he manages to fit into this, his Costa Award shortlisted novel. Thankfully, I am not a minimalist, definitely not in my home and most certainly not in my reading life, so I became quickly engrossed in The Blasphemer. The novel has multiple layers, it’s a dual time-frame narrative with one story set in war-torn France in 1917 involving the desertion of one Andrew Kennedy from his regiment, the other story set in contemporary England where Andrew’s great-grandson Daniel, a lecturer in Zoology, is perhaps guilty of deserting his wife. Usually, with these split narrative novels, I find myself much more drawn to the historical rather than the contemporary plot but, with The Blasphemer, I found myself enjoying each narrative equally, okay, if pushed, the gripping accounts of life on the front line at Passchendaele, edged it for me, but only slightly… As if the two meaty storylines weren’t enough to carry, Farndale has included many thematic threads such as atheism, duty, what it means to be brave, ever-evolving relationships as well as the mystery of a missing Mahler symphony. I know that the “busyness” of the different themes/topics has proved irksome for some readers but for me it works as the author’s hand is in firm control at all times yet not so heavy as to seem intrusive. 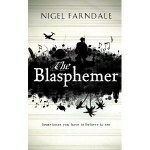 I must admit to being pleasantly surprised by The Blasphemer as I expected a much more superficial story, indeed it was one of the few recent novels I found myself discussing with my husband, particularly the notion of bravery versus cowardice and how quick folk are to judge. So, it’s a most definite thumbs up from me and I look forward to reading more by this author.